The 2018 Oscar nominations had enough freshness and enough room for new voices that they didn't feel rote. Serkis became famous for motion-capture performances in films like The Lord Of The Rings films and the new take on Planet Of The Apes. Haddish hit big in Girls Trip this year and has earned countless admirers for being joyfully herself at every opportunity. And while the nominees they announced weren't exactly unexpected given what we already knew – big showings for The Shape Of Water, Dunkirk and Three Billboards Outside Ebbing, Missouri — they had enough freshness and enough room for new voices that they didn't feel rote. Agree or disagree, they didn't simply represent a full list of the films and the performances that sounded the most "Oscars-y" from the directors and writers who had been nominated before. For best picture, sure, two World War II dramas (Dunkirk and Darkest Hour) seem pretty obvious, and The Post is a Steven Spielberg period piece. Guillermo del Toro making a beautiful fable like The Shape Of Water is in an Oscars sweet spot, as is Paul Thomas Anderson's luscious but chilly Phantom Thread and Martin McDonagh's Three Billboards Outside Ebbing, Missouri. Call Me By Your Name, a gentle love story with a James Ivory screenplay, is not too much of a reach. But first-time feature director Greta Gerwig's Lady Bird, a talky coming-of-age film with as much comedy in its DNA as drama? Jordan Peele's searing horror-comedy Get Out? Neither of those necessarily felt genetically engineered to win Oscars, to compete for best picture or to bring new directors and new actors to the very tip-top of the ceremony where Hollywood, more than anything, tells a story about what it thinks it is. Gerwig and Peele join del Toro, Anderson and Christopher Nolan (who directed Dunkirk) in the best director race, making it a fresher category than usual. Daniel Kaluuya, whose single traumatized tear became the image of Get Out, seemed at one point in recent months like he might be slipping out of the best actor category, but then he slipped right back in — albeit in a tough race against Gary Oldman in Darkest Hour, Timothée Chalamet in Call Me By Your Name, Daniel Day-Lewis in Phantom Thread and Denzel Washington in Roman J. Israel, Esq. But no first, no for-real first, feels quite as big as Rachel Morrison's nomination for cinematography for Mudbound. Hard as it is to believe, no woman has ever been nominated in the category before. Directed by Dee Rees, Mudbound did well for itself all around on nomination day: Its screenplay was nominated, as were an original song and supporting actress work by Mary J. Blige. Even more than usual, films not nominated for Best Picture wiggled into the screenplay categories: The Disaster Artist, Molly's Game, Mudbound and Logan for adapted screenplay, and The Big Sick for original screenplay. In the end, there are 10 screenplay nominations and nine best picture nominations, but only five overlap. People will take exception to what was nominated, and especially what wasn't: It would have been lovely to see more affection for Sean Baker's beautiful The Florida Project, which earned only a nod for its most famous actor, Willem Dafoe. It would have been nice to see more nominees from Get Out, which runs on several terrific performances besides Kaluuya's. Power in Hollywood doesn't just shift; it must be shifted. If it is to support more new voices, and more kinds of voices, it must hand them power. Oscar nominations don't really "matter" in the sense that the best films are often not nominated. But whether they should or not, nominations give people juice for a certain period of time; they raise profiles. They attract attention. 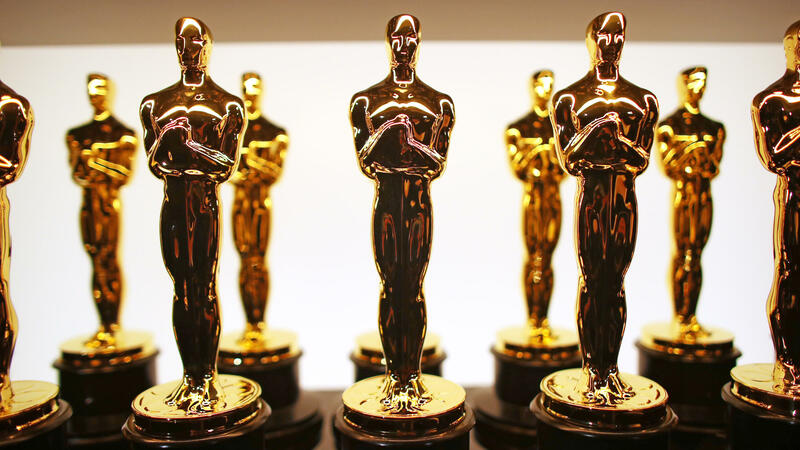 And by honoring people like Peele and Gerwig and Kaluuya and Morrison, the Oscar nominations found some new recipients for the power that putting the distinction "Academy Award nominee" after one's name confers.